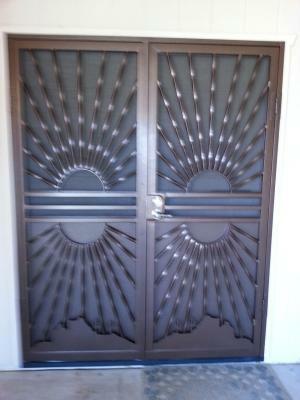 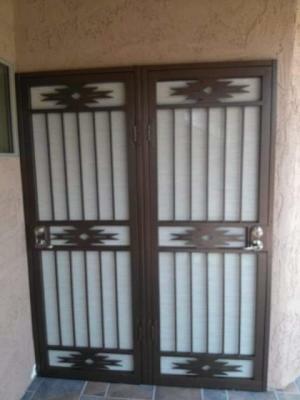 Looking for formidable and fashionable double security doors in the greater Phoenix area? 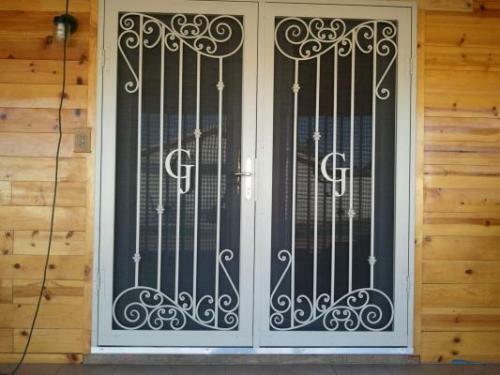 Look no further than Steel Advantage! 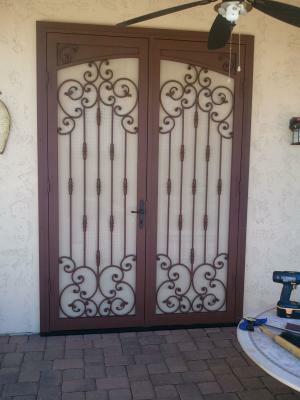 We are Arizona’s most prolific, holistic, and artistic steel security door company, with an emphasis on customer satisfaction, competitive prices, and masterful work! 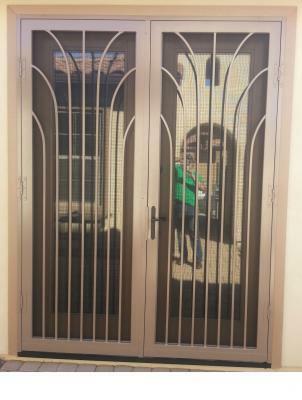 Double security doors from Steel Advantage makes a huge statement, while keeping your home safe for extended periods. 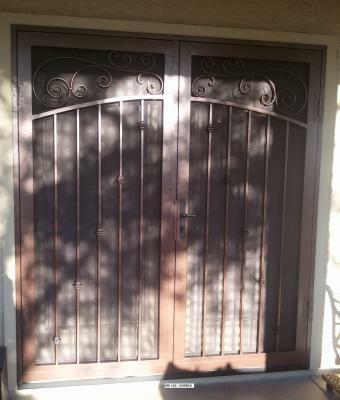 If our security double doors have the Steel Advantage name on them, you know you can count on the best American steel construction, with stunning aesthetics, and the reliability the good people of Arizona have come to count on. 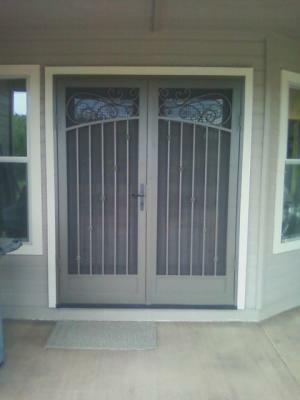 We pride ourselves on our outstanding customer satisfaction rates, paired with outstanding prices. 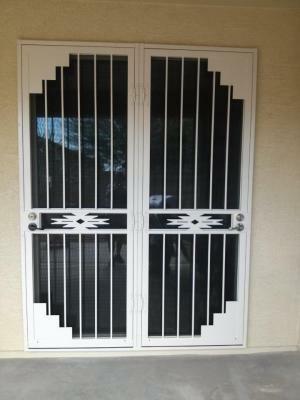 There are so many reasons our customers keep coming back! 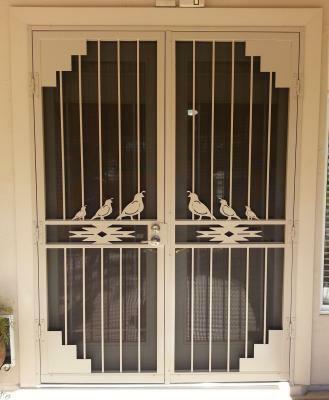 Autumn Double Door: A tastefully spare and simple design with vertical bars, hummingbird silhouettes, paired with fresh-bloomed floral impressions. 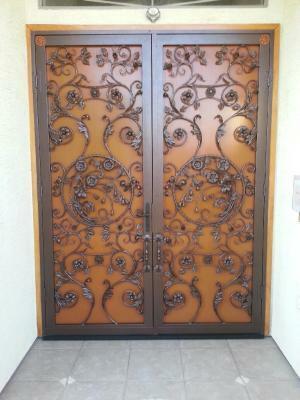 Custom Floral Door: A baroque and elegant ballet of interwoven floral steel. 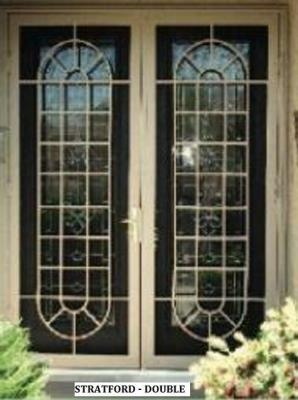 Old World Double Doors: This design hearkens to yesteryear, with a classic design inspired by 19th century aesthetics. 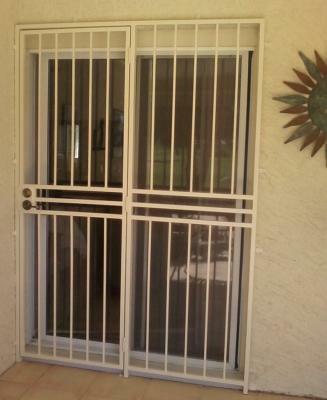 Patio Door Gate: Specifically catered to patio entryways, with double-hinged options. 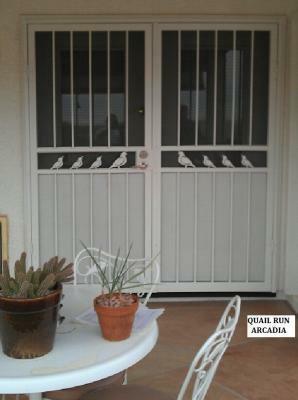 Quail Run: A classic design brought to life by an artist’s impression of a quail family. 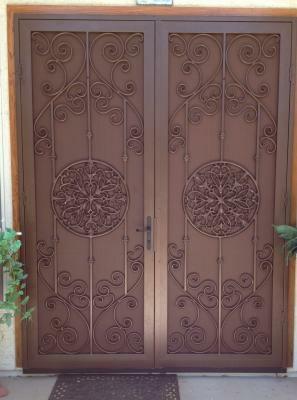 Medallions: The traditionally-designed ironwork design, punctuated by an intricate medallion in the center of the piece. 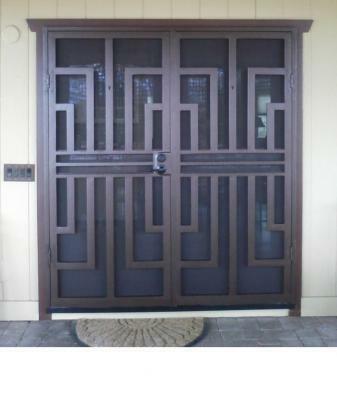 Geometric Designs: From the abstract to the simplistic, our geometric double door designs add sophistication to your entry. 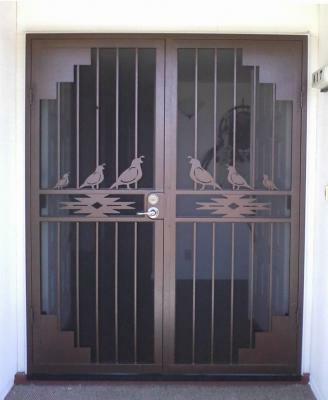 Art Deco Inspirations: The distinct artistry of the roaring twenties made modern and immortalized in steel. 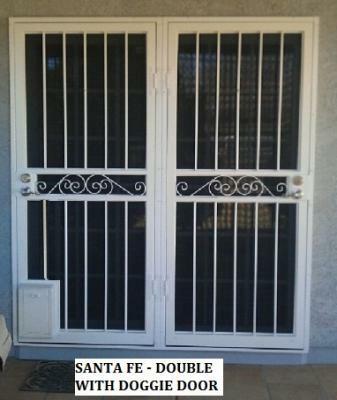 Be sure to pay a visit to both of our showrooms in Phoenix, AZ and Mesa, AZ to see the durability, innovation, and beauty of our security double doors! 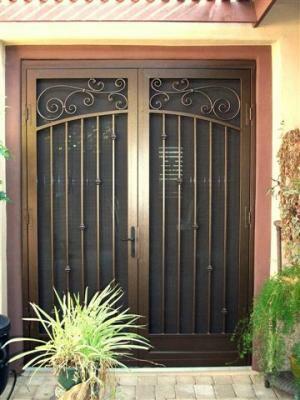 Our selection is sure to please, and our customers rest assured knowing that their personal property is fortified by Steel Advantage. 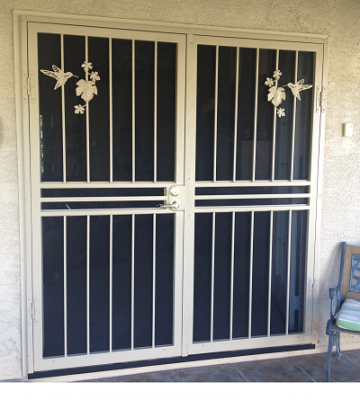 We bring neighborly prices, friendly services, and high-quality double security doors to the greater Phoenix Area. 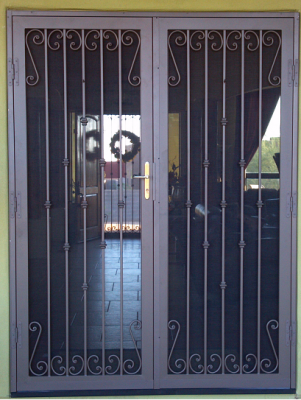 Feel free to give us a call for a quote, or if you have any questions about our American-made steel security doors. 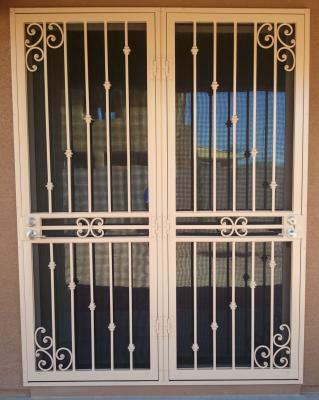 We are proud of the work we do, and are pleased to serve the greater Phoenix, AZ area with our exemplary products and services. 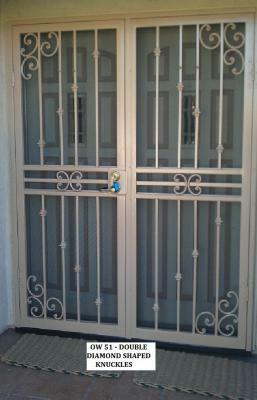 When it comes to securing your home, don’t take any chances. 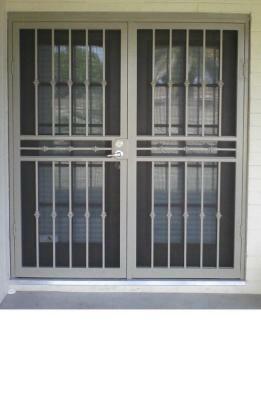 Call Steel Advantage today!